Whenever I tell someone that I teach Wilderness Survival, the first thing they seem to ask is, "Do you eat BUGS?!!!". If the gods are smiling on me, I’ll spot a likely meal crawling, buzzing, or sliming it’s way along and I eat it. That stops the questions about bugs. Bug eating is not at the top of my list of fun things to do. However, when I see the faces of folks as I munch a big GREEN tomato bug, or harvest some JUICY maggots, I feel a little better about the practice. Moths, regular old "fly into the light" moths, are pretty good. They taste a bit like almonds. Grasshoppers, dried or fried, are kinda like chalky potato chips or cheese puffs on steroids. Live grasshoppers kick like hell and can give you worms, the kind you probably wouldn’t eat. From a survival point of view, is there any reason to eat bugs? 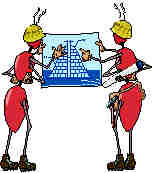 LIVE TERMITES provide about 350 calories per 100 Grams. With 23% protein, 28% fat and 44% water per gram they constitute good eats. MOTH LARVAE provide about 265 calories per 100 Grams. They are about 63 % protein and 15 % fat with only about 4% water per gram. These are good if you want to get into body building on a budget. Do you want to decrease the fat in your diet? Eat Moths. There is another issue. A cow weighs 1000 to 2000 POUNDS. A moth weighs a few mg’s. It takes a lot of moth killing to make a meal. Of course there is always the happy Maggot… that’s a different story… Easy to capture, often found in clusters, high in calories and protein. Properly prepared they taste and look like wild rice. From the standpoint of a survival food, bugs make a lot of sense as a food of opportunity. Unfortunately lots’O folks won’t take that opportunity and feed on the crawly critters. It’s a bit of the "Gag Factor" that stops them. To use bugs as a food source you first need to get over your "Inculcated societal food values" (Food preferences) and start munching. But don’t start by trying to choke down those juicy cockroaches (215 calories, 100grams). Start by buying some mealworms from a pet food store. Fry them and eat ’em… I think you’ll find that they are quite tasty. If you don’t blow chunks this first time, try something a little more exciting. Place a LIVE mealworm in your mouth and BITE DOWN. Yummy. Eat more live ones. Soon you’ll find yourself grazing on live mealworms, they’re that good! You may find that they are SO good you’ll be offering them to friends as a snack at parties. Then you’ll be just like me… "Do you eat Bugs???!!!!" One recipe I learned to enjoy… The Montegnards of the Central Highlands in Vietnam would catch crickets, put them in a container which had a 2 inch strip of oil painted on the inside. The oil kept the little buggers :>) inside the jar. The little guys would hang out inside the jar for about 24 hours. This gave them a chance to empty their intestinal tracts (the cause of some bitterness in the flavor). After they were "clean" they were dumped into a cloth bag which was then hung by a fire to dry (cook slowly) or left in the pot and heated in situ on a slow fire. When dried they were munched as a tasty snack or used in rice meals. Grass hoppers are prepared in the same way but it is best to pull the legs off before the feast. In any case, either bug (or most bugs) can be crushed and added to stews. This disguises the appearance and reduces the spew factor. Ants are, for the most, part one of the best bug feasts. The formic acid pretty much disappears when they are boiled. Black ants eaten raw have a semi sweet flavor. Sorta like crunchy raw sugar with legs. We use them to sweeten ephedra tea. Bees and wasps are OK eaten after a good boiling. The poison is basically a protein which disassembles at boiling temperatures. The stinger softens. Pounding them before boiling is effective. Bee and Wasp Larvae are delicious! One of the most dangerous insects is in the cantharides family (blister beetles). I doubt that you will run into those unless you pop over to the Mediterranean just to munch bug. There are of course many cautions… Just a note. Beetles amount to about 40% of the known insects. The larvae of many beetles are very high in fat and protein and make great snacks. When in doubt about a bug do the insect safety test. And follow these time tested rules. Always try to cook insects. Never eat bugs you find dead. Don’t eat bugs that bite back! If it smells really bad, don’t eat it! One last thought. If you have a strong stomach… or at least a clear spew zone for a Technicolor yawn… try maggots. Road kills are often infested with them. Gather a handful or two, drop your prize into an old sock, and rinse in cold clear water a couple of times. Then boil. After about five minutes, toss in a bullion cube. When the cube has finished dissolving, settle back to a fine hot stew of what looks like brown rice. It is really a fine meal.